Cat Power (aka Chan Marshall) will release her first album of new material in six years when Sun is issued September 4, according to a video announcement from the singer released today and you can download a track from it free via her web site. Marshall often takes on the role of song interpreter and has released albums of covers, which is what her 2008 release Jukebox was. 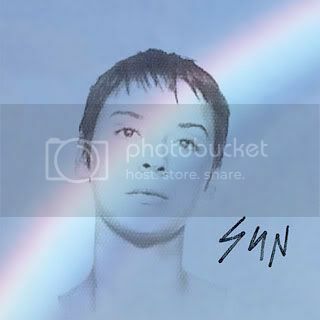 Sun is the first album of originals since her mesmerizing The Greatest in 2006. I have spent hours upon hours listening to the title track of that record as well as "Lived In Bars," which on any given day might be the best song I've ever heard in my life. Marshall wrote, recorded, performed and produced the record on her own at various studios around the world, including one she had built for herself in Malibu. The album was mixed by Phillippe Zdar. As is becoming customary, the iTunes edition of the record will come with bonus tracks for those who pre-order it when the link goes live sometime later this week (I hate that practice but Marshall is hardly the first to engage it). The complete tracklisting for the album has been revealed and fans can get a free download of the song "Ruin" from her site. Absence has made the heart fonder and I can't wait to get my hands on this new set. Check out the video and tracklisting below.